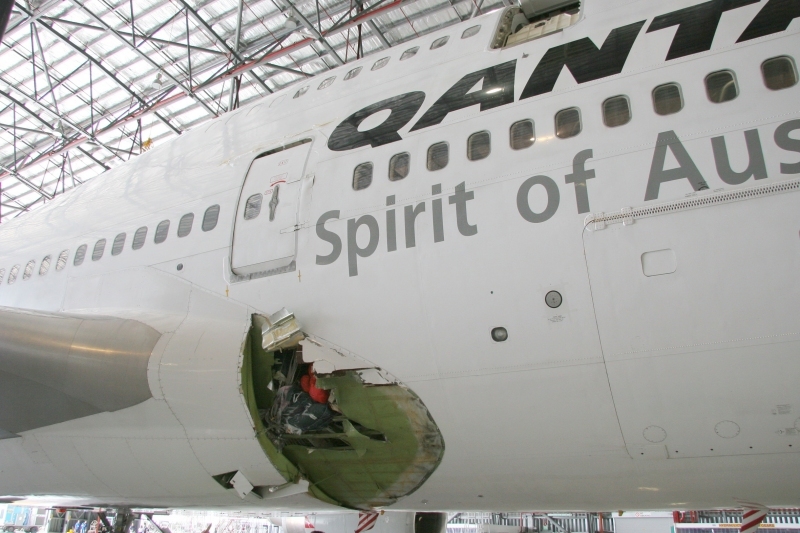 The rupture of an oxygen cylinder on board a Qantas Boeing 747 in 2008 was a unique event and highly unlikely to happen again according to the Australian Transport Safety Bureau (ATSB). On 25 July 2008, an oxygen cylinder ruptured in the plane’s forward cargo hold about an hour into a flight from Hong Kong to Melbourne. Part of the ruptured cylinder punctured the fuselage wall and damaged the cabin, causing the plane to rapidly depressurise. The plane then made an emergency descent and landed at the nearest suitable airport in Manila, Philippines. None of the 369 passengers and crew on board were injured. The key piece of evidence, the ruptured cylinder, was ejected from the plane and is at the bottom of the South China Sea, which made the investigation challenging. Investigators exhaustively tested and evaluated identical cylinders, including cylinders from the same manufacturing batch. Through these tests it was not possible to identify any aspect of the cylinder design or manufacture that could pose a threat. Given the widespread and long-term use of this type of cylinder, it was clear that this occurrence was a unique event.